According to Alameda County records, Uber paid $123.5 million to acquire its future East Bay headquarters in Oakland’s Uptown. 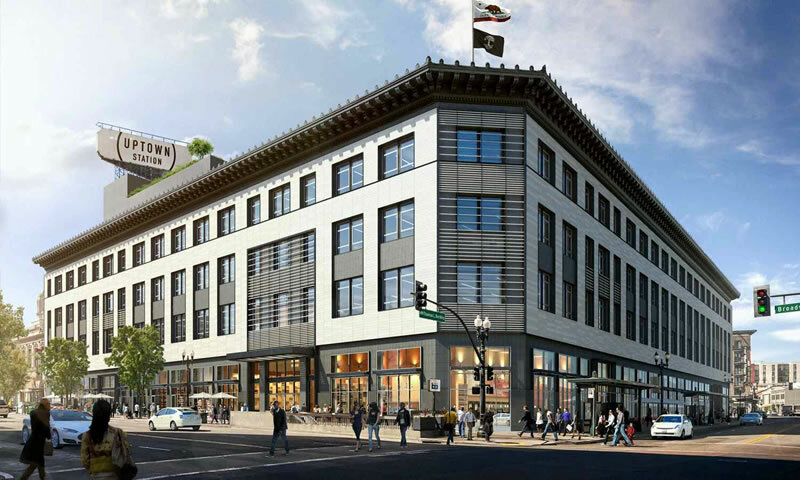 At 380,000 square feet, that’s $325 per square foot and exactly half the $650 per foot which Embarcadero Capital Partners paid for the 308,000-square-foot Class A office building at 301 Howard Street in San Francisco earlier this year. Not disclosed, however, is how much of the $40 million renovation budget to transform the Sears building into “Uptown Station” – as envisioned by Gensler and newly rendered above – Uber will assume. The renovated building won’t be ready for occupancy until 2017. Except that 380K gsf isn’t the size of the building: when Emporium-Capwell owned it was listed as 516,500 sf (though that was the “location” size and that may have included the auto center); implicitly you’re leaving out the area to be given over to parking (i.e. the basement) utilities (sub-basement) atrium, etc…so “exactly” isn’t quite accurate (though both Oakland-bashers and -boosters should note this will likely favor the SF property even more, since it likely has less unrentable space). But all-in-all it sounds like Lane made out well: dare we label it a “flip”? Correct: my point is that – implicitly at least – part of the $124M is going toward the parking areas and the (considerable) public areas, so simply dividing (total) purchase price by the net rentable area won’t give you an “exact” ratio (or at least not meaningful one). And you get props for using the latest renderings !! The building is bigber – but some of the very top floors of the building are unusable. 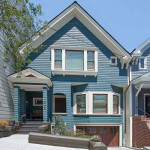 Maybe 25 to 50K sf? They are not full floors – floors 5 to 8. Sears used them as storage / pigeon roost. Sort of a tower portion built on the north west side of the building. I expect that will get demo’ed for seismic reasons. Anybody know who Uber was bidding against? If it is only half price, I would think it is a better deal to buy in SF. Rent is more than twice. This is good for the Bay Area, Oakland, AND SF. Uber will still have over 3k employees at their SF HQ in Mission Bay. But it’s not economical to hire 5k+ employees and have them all in San Francisco. Having a separate Oakland office makes sense for them. Who is Uber and Gensler doing their design development budget with? Contractor wise? It sounds like Uber is transitioning from being a transportation company to a real estate firm. And I agree with you – assuming, of course, that the space ends up occupied – I don’t think all that many people were happy about them being the flagship for DO. I wonder if SF pricing has come down since the original plan. Well, now they’re at “eventually“.Sounds not so much like “dialing back” as “drunk dialing”. It may say more about Uber as a company than anything else. Perhaps Uber will also sub-lease some of the space in its new MB offices?